Does not included pop up drain. 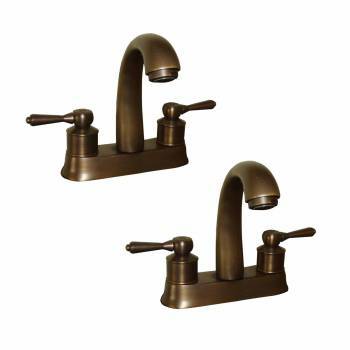 (2) pieces Bathroom sink faucet: Antique Brass 4 inch Centerset faucet with lever handles. 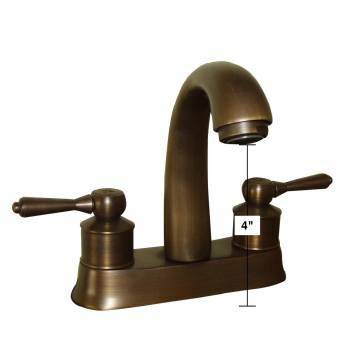 Does not come with a drain. Not compatible with a lever style drain. Projects 5 1/4" From the spout to counter is 4".